Soccer Runner for IOS and Android! — Welcome to the GameSalad forum! I published my first game for IOS and Android. 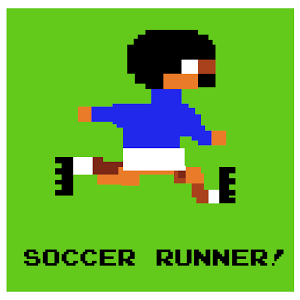 The name is Soccer Runner: it's a classic runner game in which you will find famous characters coming from old soccer games! It's completely free and without adv. Every download and feedback is really appreciated! To fine it search for: soccerrunner without spaces! Super thanks! I like your game. I like your characters, love your "under6" difficulty!!! You must have kids too! Neat game play. A little more polish and its a real winner.